The world has always known change. It has been coming in various ways: Natural evolution, revolutions, disruptive technologies, political reforms, civil movements. Today, we need to change ourselves in order to solve massive problems on our planet and our habitat. Social change always starts with an idea, with a different consciousness and action, often initiated by individuals, who feel the need to transform the world for the better. As FAIRPLANET, we are following people, movements and organizations that take action to solve a problem, to create impact, and thus make our planet a better place. This series is dedicated to them – the change makers. 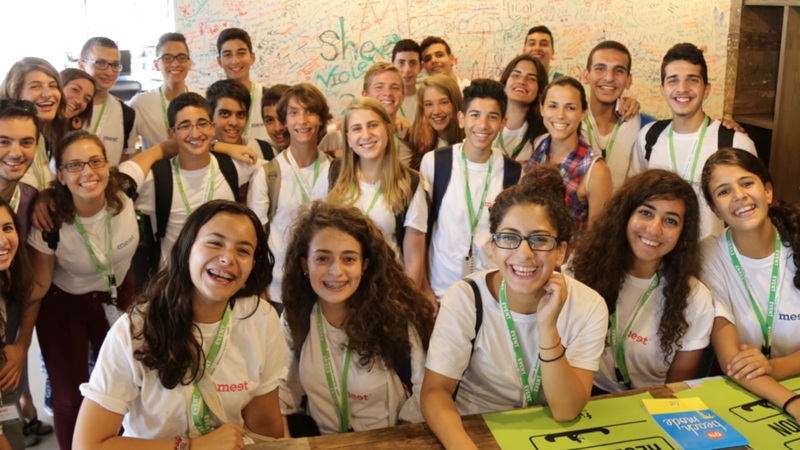 Middle East's Entrepreneur of Tomorrow - in short: MEET - is an unusual educational program that brings together young Israeli and Palestinian leaders to create positive change through technology and entrepreneurship. It is run in partnership with the Massachusetts Institute of Technology (MIT). Haim, what is MEET, and why we didn't hear so much about this program before? MEET is first and foremost an education program. Due to our focus and the sensitivity of our work we usually steer away from the media. I have therefore not given any interviews since I started my role as CEO. Moreover, because MEET has a strong brandname in both Israel and Palestine especially among the tech ecosystem, high schools, and youth and their families, we are able to do broad outreach without too much media exposure. 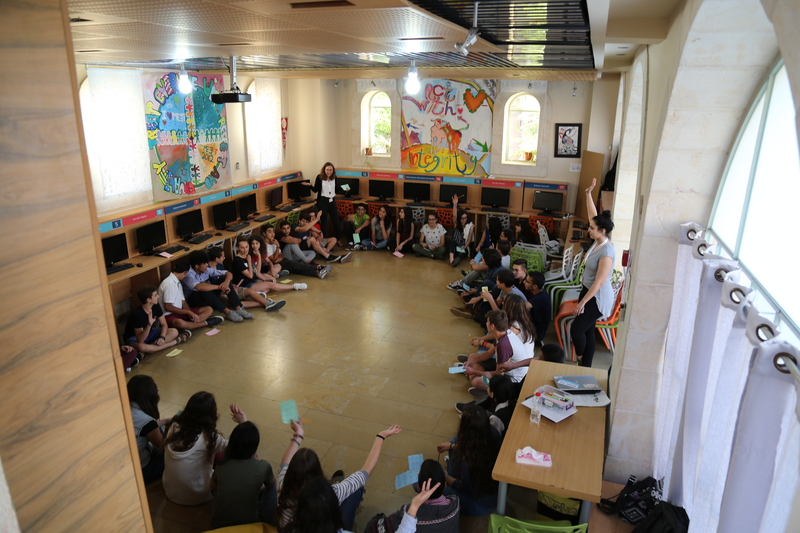 In addition to educating, MEET’s mission is to empower tomorrow’s Israeli and Palestinian leaders, expecting them to cause a future social, economic and political impact on both societies. How did this whole idea start? MEET was founded twelve years ago by a group of young Palestinians and Israelis. The idea originated from the understanding that in order to change the status quo there was a deep need to build professional and personal networks between young leaders on both sides. "Without these networks each side was seeing the world in a one dimensional way and was missing the resources needed to solve common problems." Without these networks each side was seeing the world in a one dimensional way and was missing the resources needed to solve common problems. In addition one of the founders, Yaron Binur, was a computer science student at MIT at the time. He traveled to Africa for a summer on a scholarship program where he taught high school students computer science. Seeing how students from very different backgrounds were willing to put aside differences and study and work together and find a common language through technology was a powerful experience that had a lot of impact on the MEET model. The founders decided to develop a technology and business program for excelling Palestinian and Israeli young leaders. They set several core foundations in place: First, the program would focus on young agents of change; second, it would stay local in the daily reality oft he students; third, it would be long term – over the course of 3 plus years in order to allow for deep change; fourth, it would focus on a joint experience that would both build trust and respect while empowering students with individual and group skills in areas of tech and business. "Unfortunately, over the last ten, twelve years most young Israelis and Palestinians don’t have the opportunity to meet under – what one would call – normal conditions. Usually, they meet only at checkpoints, during clashes, security issues, attacks or riots." Yes, in the beginning of the 2000s, the political and security situation was very severe. The riots against the Israeli occupation, the separation and isolation between the sides was only growing. Unfortunately, over the last ten, twelve years most young Israelis and Palestinians don’t have the opportunity to meet under – what one would call – normal conditions. Usually, they meet only at checkpoints, during clashes, security issues, attacks or riots. Even in Jerusalem, where Israelis and Palestinians are living walking distance from eachother, they don’t have a chance to meet like normal human beings. This was the backdrop fort he first MEET program in 2004. A brother and sister – Yaron and Anat Binur - their childhood friend, Assaf Harlap, teamed up with two Palestinian women - Abeer Hazboun and Sandra Ashhab to launch the first MEET program. Eight months after the came up with the idea, they recruited 30 young Israeli and Palestinian students from East and West Jerusalem, brought 5 instructors from MIT, and started a five week summer program at Hebrew University in Jerusalem. How did it evolve from then? Since then the program has grown significantly. We now work with over 40 high schools in 11 cities in the West Bank and Israel, we have around 200 students participating in each summer program, we bring 20+ instructors from MIT to teach each year in Jerusalem, and we have two hubs for our program: Jerusalem and Nazareth. Our students are 50% Israeli and 50% Palestinian, 50% boys and 50% girls (we put a lot of emphasis on having strong women in the program) and a mix of religions that reflects the breakdown in the societies. Also, the entire program is run in English because we wanted to avoid any issues about preferring either Hebrew or Arabic, and certainly English is the global language tech and business. "The entire program is run in English because we wanted to avoid any issues about preferring either Hebrew or Arabic." "It is dealing with the dynamic of people-to-people relations between Israelis and Palestinians. Narratives, teamwork, leadership skills, being able to share and to understand the other side. That doesn’t mean that one has to agree with the other, but to listen, to respect and to understand the other side of the story." Certainly, but unfortunately in our region, but not only in our region, people are not used and trained to deal with diversity. This is both the challenge and the solution for the modern world: to embrace diversity, to accept that diversity is the future of all of us, and that it is not something to be afraid of. Diversity is the future of mankind. This is the core of our program. "This is both the challenge and the solution for the modern world: to embrace diversity, to accept that diversity is the future of all of us, and that it is not something to be afraid of. Diversity is the future of mankind." Within our framework we are providing young people the opportunity to meet, discuss and engage in a frank, respectful and protected way, and organize themselves in projects that are designed to address economic, social and political issues from our region. Haim, this is a quite promising and progressive approach that you have implemented at MEET implying a lot of educational skills. Tell us about your background and what brought you to engage with MEET. I have a quite long career in education of about 23 years. Before coming to MEET I had several educational positions, I was a high school principal in an alternative school in Jerusalem, one of the outcomes of the political movements in the 1960s, applying a very open democratic system with no grades. Also, I was managing a national program for children who dropped out the conventional system. Apart of my educational work I was involved in social- political work for instance as part of an NGO called "Ir-Amim" (City of Nations), which was focusing on the economic, social and political situation of Palestinians in East Jerusalem, or as a CEO of "Yes-Din", a progressive human rights organization dealing with the Human rights situation of Palestinians in the West-bank and providing them free legal support. 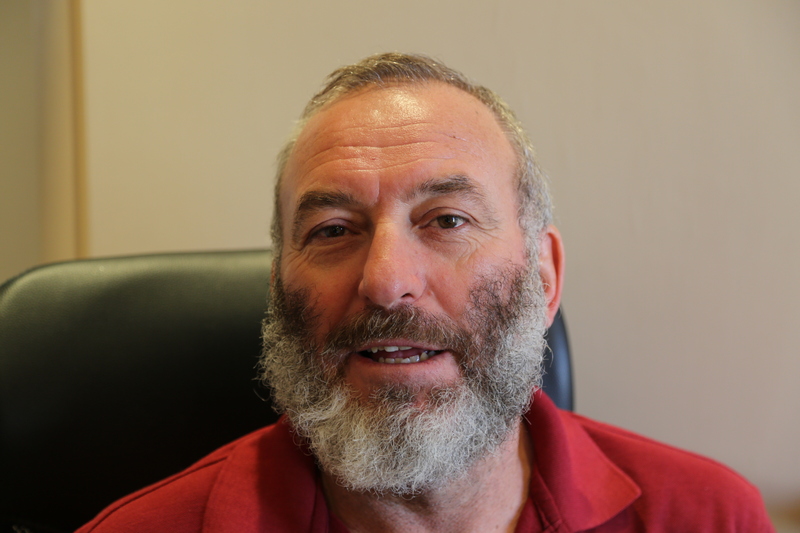 So, I was very much involved in working with Palestinians and their communities on the ground. This was very challenging and intense, the situation there was and still is very severe. So, MEET was a promising opportunity for you? And, even though I am an Israeli, I was able to bring in a profound understanding of the Palestinian situation in this program. It made me feel very optimistic about what we can achieve with this. At that time i was looking for a new position and when the opportunity came up to join MEET that was very attractive because I could combine my alternative educational background with my experience in the Israeli-Palestinian conflict. And, even though I am an Israeli, I was able to bring in a profound understanding of the Palestinian situation in this program. It made me feel very optimistic about what we can achieve with this. MEET is an island of optimism. When I see these students learning, discussing and working together, I see a bright future. By knowing each other so closely they know that there is always another side of the story, and that the future can be better together. "MEET IS AN ISLAND OF OPTIMISM"
How do your students feel when they come to your program for the first time, how do they perceive each other? Well, from the beginning on we have an ongoing evaluation process led by our team as well as external evaluation, and we have on going open talks with our students. The pull-in factors for our students are: the education in computer science, the entrepreneurial program and the partnership with MIT. Only 20% come because of the experience to meet the other. However, after three years in our program actually 80% of all participants say that they appreciate the chance to meet Israelis or likewise Palestinians. They recognize that this program is their only opportunity to become mutually engaged, because usually they wouldn’t. "They recognize that this program is their only opportunity to become mutually engaged, because usually they wouldn’t." Your program reminds me of the usual dance project, which was covered in the documentary film „Dancing in Jaffa“. Israeli and Palestinian children from different schools attended a ballroom dancing project, and when they first met they would refuse to touch each other because they would not want to engage with the „enemy“ as they said. However, over the course of several months not only the children did come together, but pulled in their parents, so that the families engaged with each other, as well. Exactly, it is the same in our project. But the major incentive is the quality of the education and the reputation of MIT, otherwise most of them they wouldn’t come. And it’s good the way it is, in the end we’re bringing people together. It works even beyond the program, through our alumni network we know that some of our students engage in longterm relationships. Also in MEET students gain skills to keep building things and working together way after the program ends. That is what makes it unique. What kind of projects are your students working on? "Our students saw that social media was only heating up the conflict, so some of them teamed up and built up a website that compared the media coverage of the Gaza war from both sides." For instance, during the summer 2014, when the Gaza war was going on we were facing a very difficult time. We had discussions whether we should continue with the program during that summer. You know in summer we have instructors coming in from MIT directly to Jerusalem. They are volunteering on this program, however the State Department issued a warning not to come to Israel. Even more serious was the situation for the families whose members were directly involved in the conflict. With other means the conflict was taking place in the social media in a very harsh way. Our students saw that social media was only heating up the conflict, so some of them teamed up and built up a website that compared the media coverage of the Gaza war from both sides. They could display how the same incidents were reported and evaluated differently. For us this was an excellent example how these students from both sides came together and approached this conflict from a higher level. It also shows how our students learn to embrace diversity and see it as a tool to tackle social and political problems instead of avoiding them. Even if they disagree with each other, they develop skills and the optimism that there is always a way to solve problems, if you work together and respect each other. As an educator I must say it is all about optimism. If you don’t believe in optimism education makes no sense. Education is about changing realities. That’s what we’re doing here. How about walking in the other’s shoes? Some people didn’t like that I advocated for the Palestinians, but I'm glad that I did. As a Jewish person I know what it means to be in a minority. Absolutely, sometimes you have to accept that you are a part of a minority, and that you have to fight against the majority with all means of democracy. Some people didn’t like that I advocated for the Palestinians, but I'm glad that I did. As a Jewish person I know what it means to be in a minority. We have this experience of 2,000 years. I see this as an advantage and as a responsibility. As dealing with diversity appears to be a crucial experience to cope with today’s world, is MEET serving as a role model to projects in other regions with similar challenges like in the Middle East? We recently had visitors from Brazil who are working in the Favelas. They intended to learn from our program and to implement a similar project there. Unfortunately, the situation in Brazil is currently very unstable and difficult, so they’ve put that in hold but intend to come back next year. We’re more than happy to share our experience and provide support as much as we can. Also, the prime minister of Greece, Mr Tsipras, was visiting Israel and asked to meet us. We’ve presented our program to him. He was very impressed and said that he would like to implement a program like this in Cyprus within the reconciliation process between the South and the North of Cyprus. 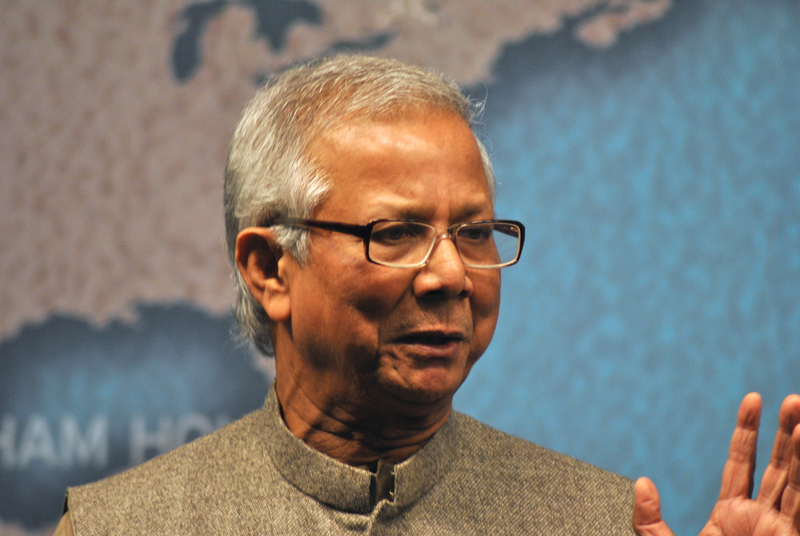 "But I believe this program cannot only work in regions with political conflicts, it can work very well between majorities and minorities, and between rich and poor communities." But I believe this program cannot only work in regions with political conflicts, it can work very well between majorities and minorities, and between rich and poor communities. Even easier when there is a common language like for instance in Brazil. I believe that this model of education can work all around the world with local adjustments. No one – except some crazy extremists – can be against this program. Because all parents want their children to receive proper education and to develop social skills – all of that for free. I’m also sure that the MIT would be supportive to launch this program in other parts of the world. This is a service to all mankind. Shouldn’t you deploy this program as a world wide project then? (Laughs) Well, I wished, but we are only a small institution with a staff of less than 20 people and a yearly operating budget of 1,5 million US Dollars, which is mostly coming through donations. Actually, 75% is from private and corporate donors and foundations, and 25% comes from USAID. We are running two hubs, one in Jerusalem and one in Nazareth. I wished that could accept more students here, but we have only an acceptance rate of 8% because our capacity doesn’t allow more than 200 students per year. For each student we spend around 6,000 US Dollars per year. That sounds like a lot of money, and somehow it is due to the excellency of the program, but in terms of an investment in our future it’s not much at all. Haim, thank you very much for this conversation. Radio Dange Nwe is something unique. The station was founded by two young women: Hevy, 29 years old, fled the Syrian city of Kobanî and Haneen, 19, comes from the embattled Iraqi city of Fallujah.